Inspired by the bold forms of Brutalist architecture, the Pierre Table Lamp by Heathfield & Co will make a striking addition to a hallway or living space. Hexagonal motifs adorn the bottom of the base showcasing crafted texture in a subtle monochrome palette. The patterning is contrasted by a beautiful reactive glaze in bronze and silver tones. 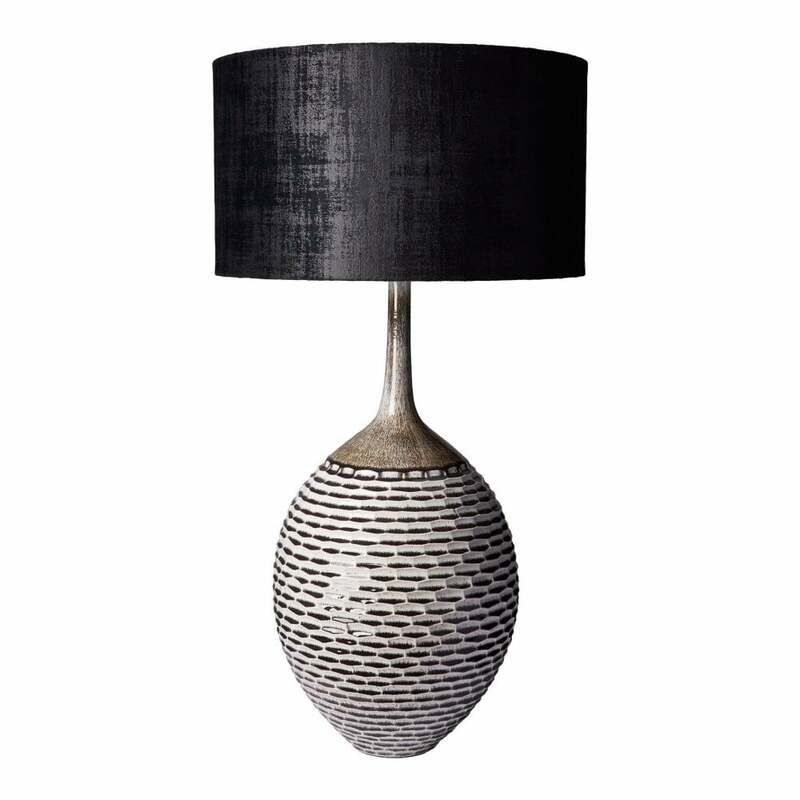 Shown here with a liquorice velvet shade, this table lamp will break up a monochrome scheme and an element of luxury. A wide variety of shades are available in a selection of colours and fabric options. Make an enquiry for more information.